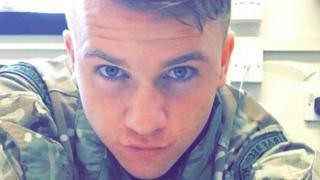 Police will resume their search for the missing RAF airman Corrie Mckeague at a landfill site on Monday. But they will now restart an "extended search" which is expected to last four to six weeks. It will concentrate on an area next to the original search site which police say is "the next most likely area" where he may be. Mr Mckeague, who was 23 when he went missing, was last seen at 03:25 BST on 24 September 2016. He had been on a night out with friends from RAF Honington, where he was based.